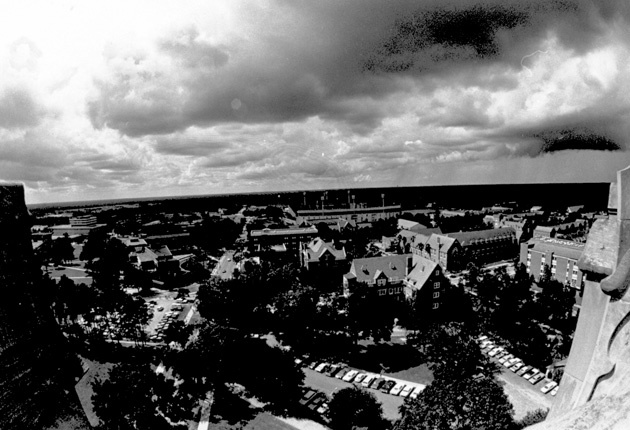 ﻿ Aerial view of the University of Florida campus probably taken from the top of Century Tower, 1970's. Aerial view of the University of Florida campus probably taken from the top of Century Tower, 1970's. Photograph 8403 from the University Archives Photograph Collection.